Smith & Wesson Police Officer Watch | BUDK.com - Knives & Swords At The Lowest Prices! 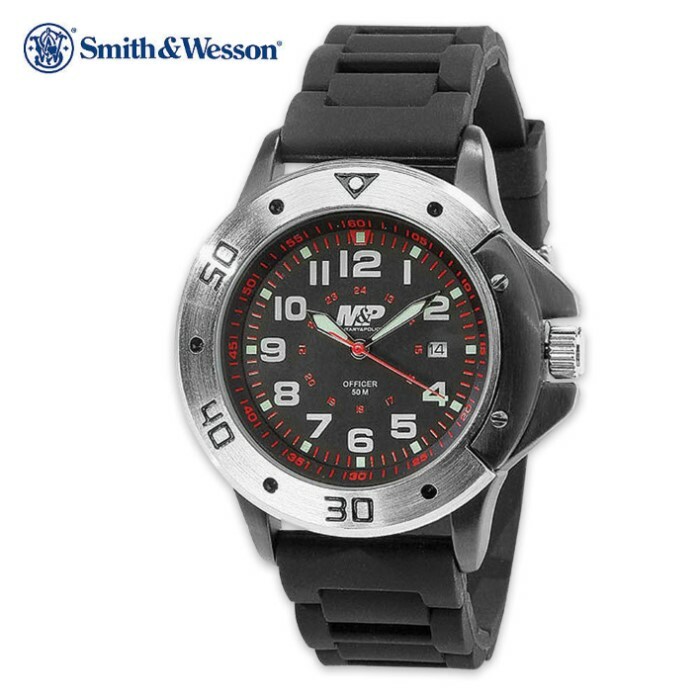 Watch your time like a real-life police officer with this Police Officer wristwatch by Smith & Wesson. This classic police officer watch features a large metal case with a hardened mineral crystal face for scratch resistance, making it perfect for everyday use. The precision Japanese quartz movement is reliable and keeps good time. This police officer watch also offers strong water resistance and a comfortable, soft rubberized band. The watch itself is comfortable to wear but you can't see the dial in the dark, so I returned it.